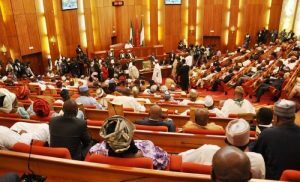 The Senate on Thursday stood down consideration of the Electoral Act (Amendment) Bill, 2018 for third reading and passage, until Tuesday. The bill, which was captured on the Order Paper, was stood down at plenary for more legislative work. After his remarks on it, President of the Senate, Dr Bukola Saraki, put the issue to voice vote and the “`step down’’ was unanimously adopted. The bill scaled second reading on Oct. 10, a day after the Red Chamber resumed from recess. Ongoing process on the Bill is the fourth attempt by lawmakers to have it ready for assented of President Muhammadu Buhari. Buhari had on Sept. 3, declined assent to the Bill, which was transmitted to him by the National Assembly on Aug. 3, for the third time. The Senior Special Assistant to the President on National Assembly Matters (Senate), Sen. Ita Enang, in a statement in Abuja, announced the president’s decline of assent to the Bill. He had explained that the president declined endorsement of the bill due to some drafting issues and the period fixed for political parties’ primaries, among others. The clarification was against the backdrop of media report that Buhari had again vetoed the bill forwarded to him for assent. 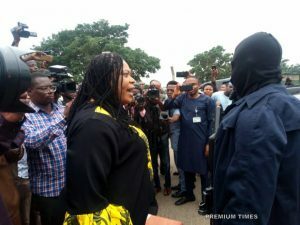 But, Enang explained that the vetoed bill was the one sent to the President on June 27 and not the one passed by the Assembly on July 24, the day the lawmakers commenced their annual recess. In February, the president rejected the first Electoral Act (Amendment) Bill 2018 forwarded to him for assent and gave reasons.